The crows and wheatfield of Vincent's masterpiece inspired us to create this beautiful scarf, which is handcrafted by experienced artisans in the Indian Himalayas. Vincent's work is truly coming to life!This high quality scarf for men is made from 60% merino wool and 40% forest oak silk. 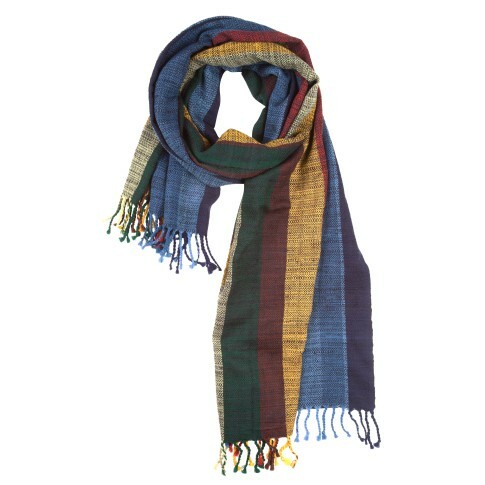 Forest oak silk is a wild silk that's unique to the high altitude Himalayan forests. When woven in combination with wool, it creates a product thats textured and edgy in look and feel!